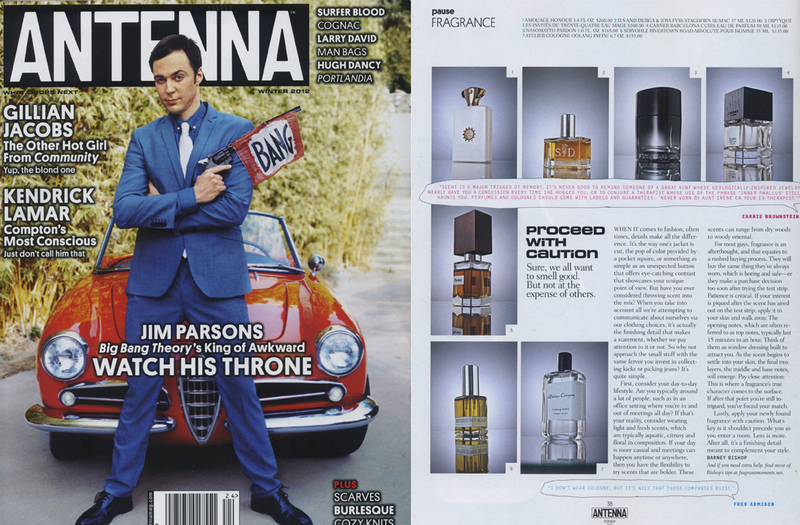 A few months back, the Editor-In-Chief of Antenna magazine contacted me about writing a piece on scent. We talked about this a few years back but the stars finally aligned. Part of that delay was my own. I really like Antenna’s editorial point-of-view and wanted to be sure I was ready with my own. When that email finally made its way into my inbox, I was ready. To me, scent is a detail more men should pay attention to. We make conscious choices about the clothes we wear, how we style our hair, yet for some, when it comes to scent, we couldn’t be bothered. Well, this piece in Antenna is my attempt to reverse this thinking. I hope you enjoy it and if you do, let them know. Thanks to Kaity and Sarah for making this dream of mine a reality.